The Blog of Kells: So Cool! 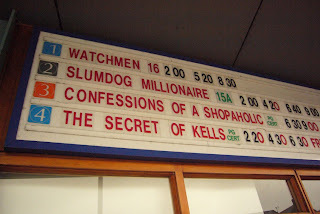 Kilkenny Cineplex today! Thanks Fabs! Despite how excited I am about Watchmen, I still think you deserve to be in Screen 1!!! !